Amvean specializes in phone system and network installation. In this project Amvean worked with the law firm Finkel and Fernandez based in Brooklyn, NY. The company was relocating offices and required network cabling, network installation, and new commercial phone system. 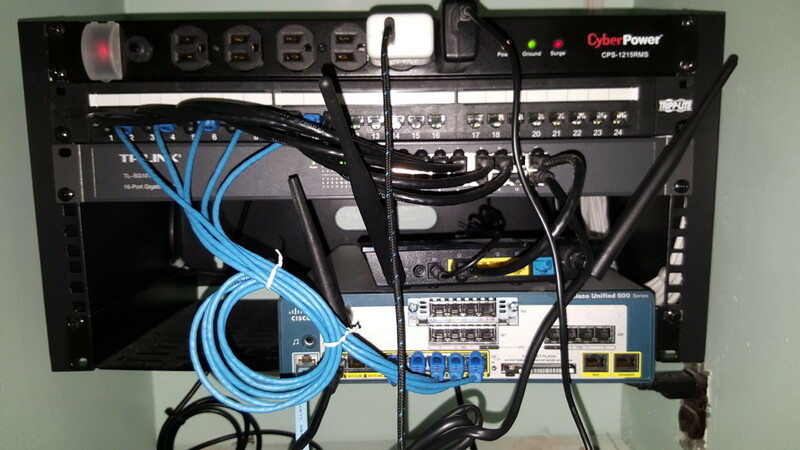 The rack containing the phone system, network cable termination, network patch panel, wireless, and switch. When doing phone system installations our specialists began with a site survey and discussed the needs of our client to custom tailor a solution that best fit their needs. The cabling process was extremely organized which allows future jobs involving the network simpler for all parties involved. At a recent project at Finkel and Fernandez LLP, a law firm that specializes in elder law and special needs, Amvean installed the network and phone system. The phone system that Amvean installed was the Cisco UC 520, and the services provided included wifi, voicemail to email, and an automated attendant. The automated attendant allows the staff and law team to mobility. Voicemail to email allows for the voicemails left by clients to be sent to the company’s staff email addresses for convenience when no one is in the office. This is especially useful for their team as they are working on the road or at the court. The flexibility allows their staff to stay connected to the office at all times. An automated attendant transfers calls through multiple extensions without the need of a receptionist to be at the phone. Amvean came under budget and delivered the entire project from start to finish in a matter of one week. Amvean stocked all equipment and therefore can deliver network cabling, IT infrastructure services such as firewall, phone system, routers for quick install. Amvean also partner with all major service carriers such as Broadview, Time Warner and Verizon. • When traveling or working from home, employees can stay in touch using the Cisco IP Communicator soft phone on any Windows PC. 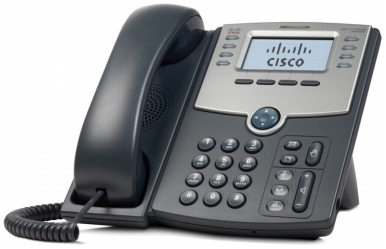 • Video telephony is as easy as making a voice call by adding a Cisco USB video camera to any 7900 Series phone, selected 6900 Series models or to the IP Communicator soft phone and can be used between sites. 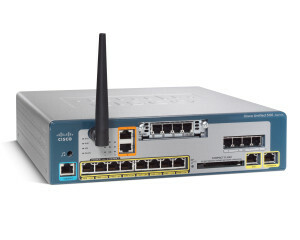 • Network security included at no extra cost, including Cisco IOS® Firewall to protect the entry point into your network. • Virtual private network (VPN) IPsec for site to site networking and SSL providing remote users highly secure access to the network included. • Integrated wireless LAN (WLAN) 802.11b/g capability, including support for data and voice giving freedom to employee’s to work from any location in the office. • Cisco Smart CallConnectors provide call control, click to dial, inbound screen pop, presence, and instant messaging, all integrated with popular Windows applications including Microsoft Outlook and Internet Explorer. • Cisco Office Manager is a no-cost desktop application that the small business office administrator can use to independently perform routine operational tasks for the Cisco SBCS after it is configured by the partner.